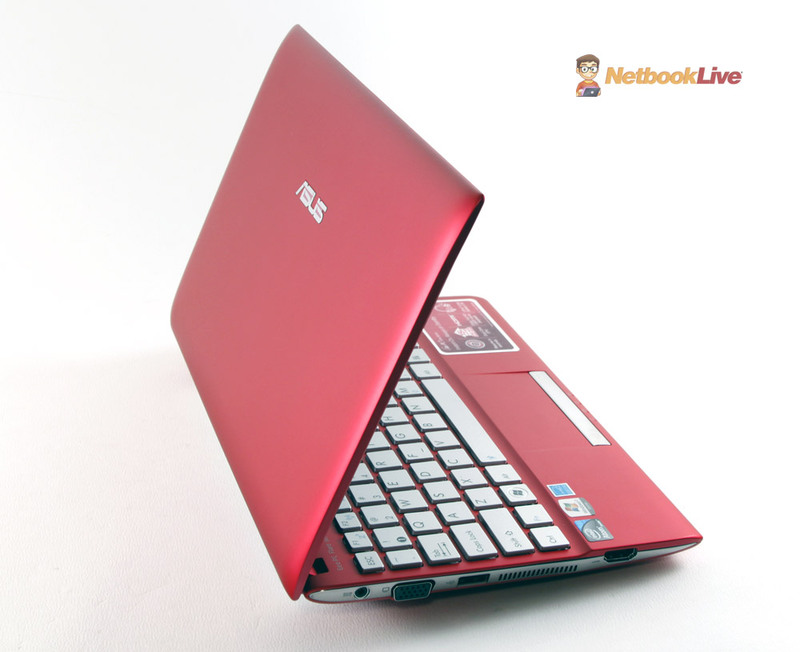 Summary: The Asus 1025CE is perhaps the best netbook of the moment. Beautiful and solid built, it does pack the latest Atom platform, a good keyboard, a nice matte screen and solid battery life. There's one thing though that might ruin it for you: upgrading memory is complicated. With laptops getting smaller and lighter these days, you might wonder if people would still be interested in netbooks any more. I would say there’s still a place for compact inexpensive notebooks, we still need them. And while they are not as popular as they used to be a couple of years ago, i feel 2012 has plenty in store for us in this segment. We haven’t seen a lot of movement regarding netbooks last year, and existing devices failed to show any significant power improvements, especially when dealing with a growing need: multimedia consumption. 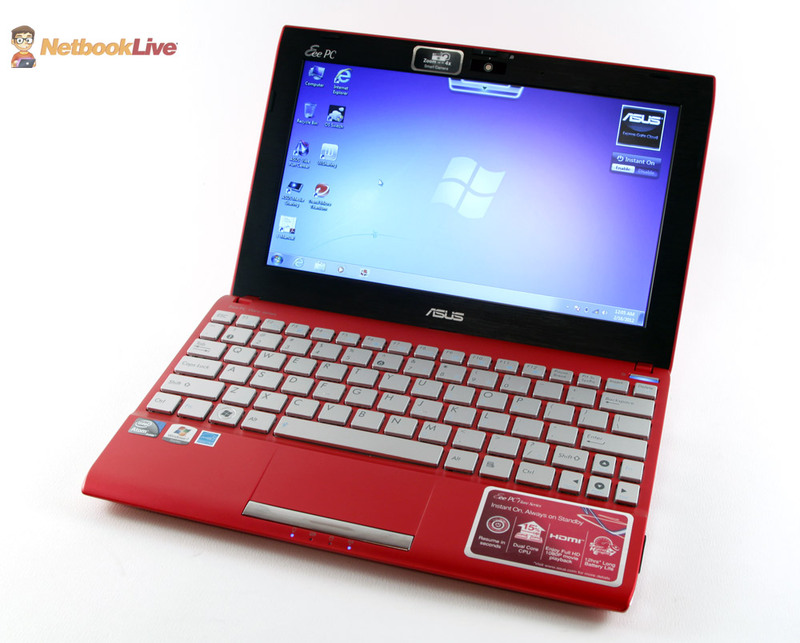 The Asus EEE PC 1025CE we’re speaking of here is part of the new 2012 generation of netbooks and promises to be an improvement over its predecessors, boosting Intel’s new CedarTrail hardware platform. Remember, an improvement, but not a revolution. The rows bellow will actually tell you if it lives to the promises, but if you don’t feel like reading the whole story, here’s a quick spoiler: overall, the 1025CE EEE PC is the most solid netbook I’ve seen so far. It’s slightly faster than before, can deal with Full HD video content, has a good screen and decent features. Plus, it’s better looking and better built. However, it’s still a low power computer that will clog if pushed too much and has, at least for the time being, some potential deal-breaking issues (read the review for those). As long as you understand that and know what to expect from such a machine, the 1025CE can be a good travel companion, with an affordable 300ish dollars price tag. So, is it a good buy? That’s up to you to decide, but if you’re interested in the Asus 1025CE, you’d better read the in-depth review bellow as well. Before we’ll actually jump into details, let’s have a quick look at the specs sheet, so you’ll know what we’re dealing with here. However, you have to know that this EEE PC I’m reviewing here is pre-release sample, not a final store unit. That means the final configurations might differ slightly from this one, as they might also differ from country to country. Over here in Eastern Europe, the 1025CE will be identical to the unit we’re having here, with one exception: it only comes with 1 GB of RAM by default. If you’re not into reading hundreds of words, the video review is going to be for you. It’s long and thorough, but the written post is more detailed anyway. The 1025CE is a looker, i doubt you can argue against this. 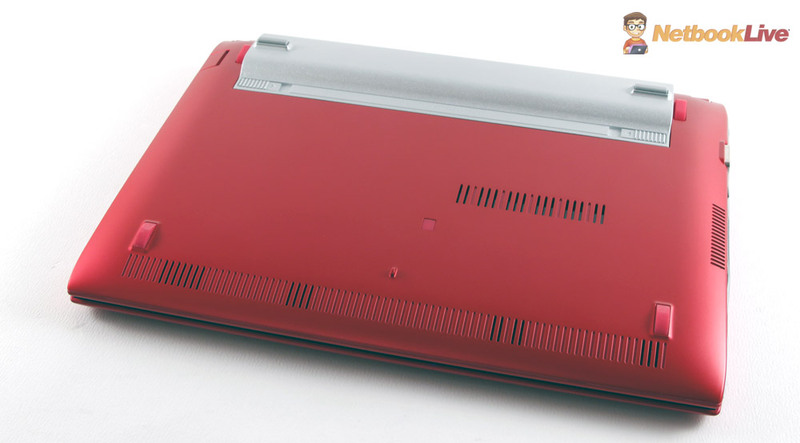 Part of the new EEE PC Flare family, it brings this completely redesigned body shape, which I find well balanced and overall slightly thinner than before. The weight is pretty much on par with the previous line, around 2.7 pounds with a 6 cell battery attached. The exterior is made from plastic, but it feels smooth and somehow metallic, definitely better than the plastic you usually get on netbooks. My test version comes in this dark-pink color, but the laptop will also be available in a bunch of other colors (differing from country to country, once again). As a novelty, the same material is used for the top and the bottom of the mini laptop. On the inside there’s a a similar finish, matching the color of the exterior, so overall I can say the 1025CE is the best built 10 incher I’ve seen in a while. 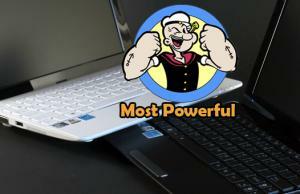 It can rival with the likes of the HP Mini 5103 or the Asus 1018P, past personal favorites. Taking a look at the bottom, you’ll notice there’s no quick memory access bay, but based on region, that might change where you’re living. Over here it will for sure ship like this, and hopefully I’ll be able to get a look under the hood soon (Asus did not allow me to open the back when I tested it, but that might change in the near future). On the sides you get all the needed ports, like you can see in the pictures bellow, plus a chromed plastic decoration. The video review will also tell you a lot more on the exterior, so check it out unless you haven’t already. The keyboard is pretty much on par with what I’ve seen on 10 inch EEE PCs before, with some small changes. First of all, there’s a silver color used for the keys on this test unit, and it looks good. Then, I feel like the keys are a bit sturdier than they used to be, thus offer a better feedback. And last but not least, they seem a bit taller as well, allowing a longer travel. All these make typing on the 1025CE a pleasure, within its classes standards or course. You’ll still have to get used with the smaller than Full-Size keys, but that shouldn’t take that long. The trackpad is slightly changed from the generation we saw last year. I find it wide enough, responsive and pleasant to use, but a bit too short, which means that sometimes you might feel like you need a wider area for more comfortable use, especially when performing multi-touch gestures. The click button ain’t bad either, as you don’t actually have to press it hard to register commands, but of course I would have enjoyed more dedicated buttons for Right/Left click, instead of this bar-button approach. 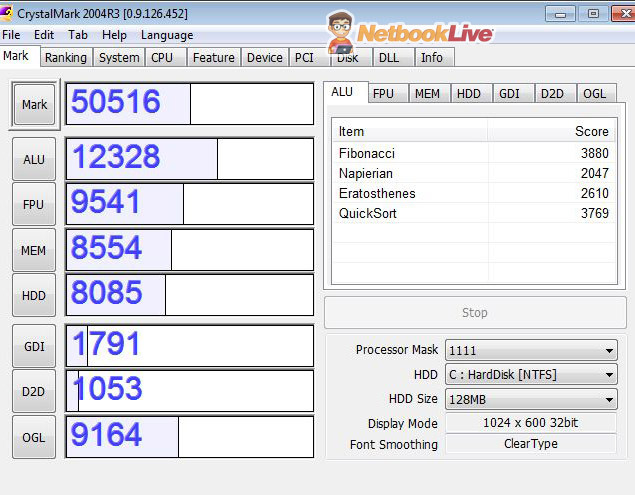 There’s a standard 10.1 inch screen on the Asus EEE PC 1025CE, with 1024 x 600 px resolution. It’s also matte, so you’ll be able to use it outside or in direct sunshine, without it transforming into a mirror. The panel is also pretty bright, and viewing angles aren’t bad, especially for this class. Just to complete the new body design, the screen’s bezel is no longer glossy, it’s now made from this textured matte plastic that tends to mimic brushed aluminum. Bottom point, there’s little wrong with this screen. Even the screen’s hinges, that seem fragile on a first-look, are strong enough and sturdy. Of course, some might have enjoyed a HD screen on this new generation Asus EEE PC, but as long as this device comes with Windows 7, I’m not one of them. 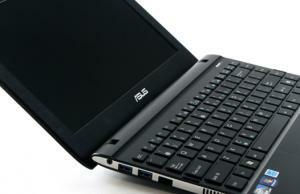 The Asus EEE PC 1025CE brings forward Intel’s CedarTrail hardware platform. There’s an Atom N2800 processor inside, clocked at 1.86 GHz, 2 GB of DDR3 1066 MHz memory, standard 5400 rpm HDD and Windows 7 Starter operating system. The platform can actually take up to 4GB of memory, but from what we know right now, there’s little to no x64 drivers support, especially for the graphics. Plus, on this unit, upgrading RAM is going to be quite complicated, as there’s no dedicated memory bay on the back. On the other hand, it might be actually impossible, as the memory might be soldered to the motherboard, but there’s no way to confirm this right now, as Asus did not allow me to take the 1025CE apart and remove the back cover. However, I do know that the 1025C comes with upgradeable memory, plus there are rumors of 1025CEs with a memory bay, so once again this might differ from region to region. Anyway, back to the hardware. For starters, you must understand that this platform is no big revolution, Intel merely shrink the die size and turned to the 32 nm lithography, but overall there’s still the same electronic architecture inherited from the previous Intel Atom PineTrail series. So the new chip is slightly more compact and runs cooler than before, thus Intel can offer a higher clock speed CPU. Hence there are some performance improvements, but don’t expect wonders. On the other side, the CedarTrail Platform incorporates better graphics with PowerVR chips. For the time being though, drivers aren’t really finalized, so i couldn’t test the 1025CE to the full of its abilities, but i’ll get back on that in the near future. For the moment, the graphics do not have DirectX 10.1 support, and from what I know, proper drivers support might not be released in the near future, as Intel seem to focus their efforts on getting their low-power platform ready for Windows 8. But we’ll see if there’s any truth behind these suppositions by the time these units hit the stores. With that in mind, and without forgetting we’re dealing with a sample here, you’ll find some benchmark results bellow, but take them with a pinch of salt. The video review also shows you that this unit can deal with all kinds of Full HD content, self stored or streamed, as long as you get DXVA support working. As for games, i was not able to test them for the time being, due to those drivers issues that actually prevented me from running most of the standard graphic benchmarks as well. The 1025CE, like most netbooks out there, runs Windows 7 Starter, bundled with a bunch of preinstalled software. Basically, you’ll get a decent amount of crap-ware, and some apps that might be useful to some of you (like Asus WebStorage). I for one still recommend getting rid of most of these pieces of software, just to squeeze a bit extra performances out of the little fellow. There are however some new apps we haven’t seen before, like Smart Camera and Asus Media Sharing. However, the most important addition is for sure the Instant On! ability we’ve seen before on Ultrabooks. This is more or less a hybrid between Sleep and Hibernation and is designed to offer fast sleep activate/resume times, while eating very little battery when the computer is in the dormant state. Instant On! however didn’t seem to work on our test 1025CE, and that might be once again a drivers/outdated BIOS issue. But it will work on the final products and should allow only seconds to get your computer in and out of sleep, plus 10+ days of standby on a single charge. If you’ll compare the Asus 1025C to the 1025CE we’re having here, you’ll notice that most of the small differences between the two are about connectivity. So, the 1025CE offers 2 x USB 2.0 and 1 x USB 3.0 slot, VGA, HDMI, Ethernet, card-reader. 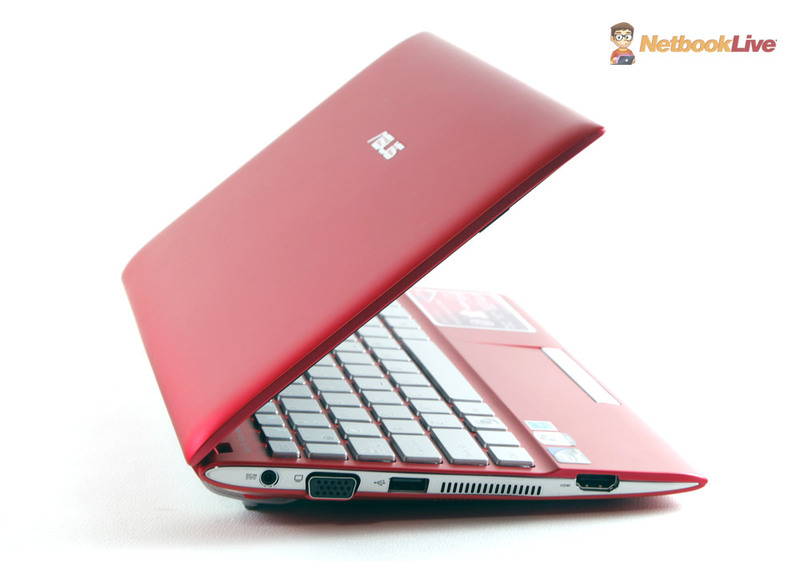 Plus, you also get Bluetooth 3.0 and Wireless N, while the mainstream EEE PC lacks the USB 3.0 slot and Bluetooth. 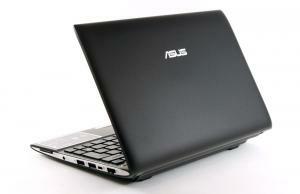 During everyday use, the Asus EEE PC 1025CE will get warm, but won’t get hot. Even when pushed, like when running a Full HD clip for a while, the bottom still remains within usable temperature limits, while on the top, you can hardly feel there’s any running hardware platform beneath. Noise wise, I never heard the fan inside this one kicking, not once. Hence, i assumed this is a fanless design, but I’m not that sure anymore; after all, there’s a cooling grill on the left, which could mean the cooler is extremely quiet, if there. In fact, the only thing you’ll hear while using this laptop is going to be the HDD, which cranks, like all moving-part hard-drives do. But you can solve this if you’ll upgrade it to an SSD. As for the speakers, I can tell you, I was expecting more. The sound quality is OK for such tiny speakers, but the volume is quite poor and this little fellow will hardly be able to face a noisier room, unlike its predecessor that boosted louder speakers. The 1025CE also offers a webcam on top of the screen, with a privacy-lock and Zoom adjustment latch, once again a feature we’ll only see on this premium 10 incher from Asus and not on the cheaper ones, at least for the time being. You might notice I never got the screen to 100% brightness, that’s mainly because the panel is very bright, thus when using it inside, you’ll hardly need to go above 50%. Of course, when outside or in strong light, you’ll have to, thus battery life will be affected, but you can get plenty of hours of life no matter what you’re throwing at this little laptop (of course, as long as you run things it can handle, because editing clips or RAW photos, as an example, will eat through battery like crazy, but the computer will also turn sluggish, as it’s not meant for such activities). 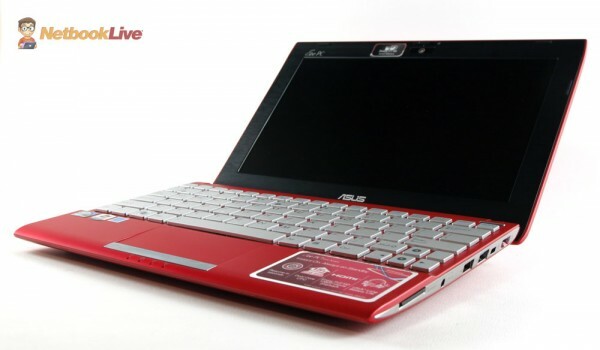 Since the Asus EEE PC 1025CE is not yet available in stores, I can’t give you official details on prices. Over here in Romania, this one will go for 1599 lei, which, based on how things go, would translate in about $350 once this reaches the States. Comparing it to the Asus 1225B that goes for 1999 lei, you can say this one is about 0.8 of its price, thus the number above. But that’s for the top version, with all the features listed here, N2800 Atom processor, 1 GB of RAM and the 6 Cell battery. Cheaper versions should be available starting at around $319, maybe less. And then there’s the mainstream 1025C EEE PC. Anyway, I’ll upgrade this session once the 1025CE lands in stores or final pricing details are released. PS: Some might say this is not as cheap as expected, but there are variables that influence the price, at least for the moment: increased HDD prices, shortage of Intel Atom chips, the fact that the platform does not support USB 3.0 by default, thus an extra controller had to be added. That’s why you should expect prices to drop in the next couple of months. In the end, I feel like the EEE CP 1025CE is a solid mini laptop, one of the best, if not the best netbook I’ve ever seen. Hardware and specs wise, Asus did a great job: the mini laptop is solid built and looks good, the screen is surprisingly good for this class and the keyboard/trackpad combo aren’t bad either. However, there are some issues. 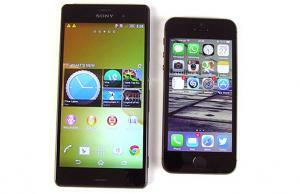 The biggest is the hardware platform, which is also the big novelty. Like I said in the Hardware section, the CedarTrail platform is no revolution, so you shouldn’t expect a huge boost in performances from the little fellow. It does offer better graphics in an efficient pack, but that’s basically all. And only to some extent actually, as drivers are an issue that might not get solved that soon, as Intel is said to focus more on getting ready for Windows 8, than developing drivers for netbooks on Windows 7. Of course, I might be wrong here, only time will tell. Then, there’s the price issue: 350 bucks for a netbook might have been OK two years ago, but it’s not today, when AMD Fusion powered machines have something to say, and when bigger laptops have gotten cheaper and cheaper. And last but not least, there’s a potential bigger issue: 1 GB of RAM is not going to cut it on these netbooks, not these days. The platform has potential, but not with only 1 GB of RAM, and it looks like Asus decided to make it difficult for buyers to upgrade that. Yes, they only ship EEE PCs in this class with 1 GB of memory because of those limitations imposed by Microsoft (can’t have more on Windows 7 Starter PCs), but hey, at least let me upgrade that at ease. Not to mention that there are rumors of soldered memory module on the motherboard, in which case we won’t be able to upgrade them no matter what (but I’ll have a confirmation or invalidation of that soon enough). So, while the Asus EEE PC 1025CE has the potential of being an excellent mini-laptop, there is this cloud of possible issues that could ruin it in the eyes of many potential buyers. I’m not saying it won’t sell even if those problems mentioned above are indeed real and remain unsolved, but for tech savvy users, this will be dead, along with most other CedarTrail powered machines. So only time will tell if the 1025CE is a breath of fresh air for the netbooks’ segment, or just a potential star that never got to glow. Great review, thanks. 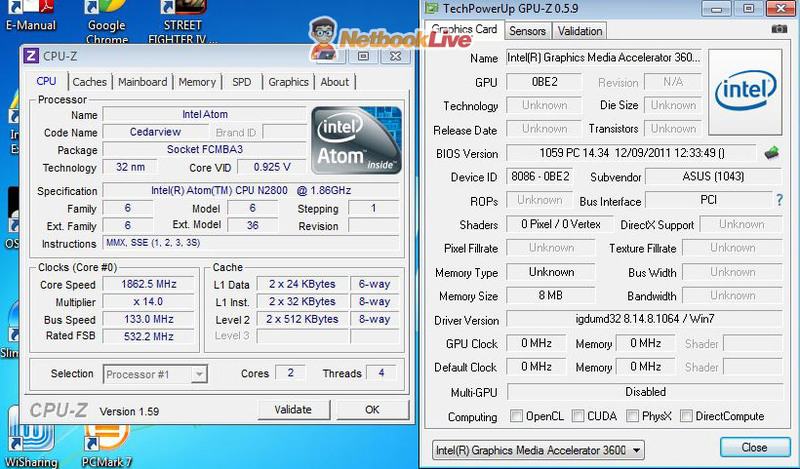 I thought I found the best netbook, but because of the weak graphics performance I need to find something better – amd apu e-450. Many of the 10″ models are still limited to 1024×600 anyway. So the 11.6″ will better take advantage of the higher graphical performance and better future proofing for upgrading to Windows 8 and its minimal resolution requirement for full Metro functionality… Along with usually two RAM slots for more RAM upgrade combination options. Btw, Mike, one mistake on the spec list as the N2800 GMA is 3650 (640MHz) and not 3600 (400MHz). 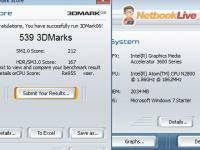 Interesting note on the benchmark, the first released benchmark for the N2800 indicated a 3D Mark 2006 score of 440, but you got significantly better score of 539. So looks like there have already been some driver improvement. At least since August of last year when those benchmarks were leaked. Though still a long way to go before they are perfected. I’ve got the latest VGA driver from Asus’s website , and it was released on January 2012. But that still does not make the chip DirectX 10.1 compatible. Thanks for the review, lots of good information. Do you mean that the games and benchmarks crashed due to buggy drivers? Or they simply refused to run because of no DX10/10.1 support? Basically, I just want to make sure that the DX9 games from my old netbook are going to run okay. Did you notice any graphical glitches while running 3dmark and crystalmark? Well, i couldn’t even run most of my standard tests, including cinebench 11.5 and PCMark vantage. 3dmark 06 ran OK, did not crash. As for games, I did try Heroes 3, which worked quite well, but that’s a very old title. Didn’t try anything else though. Unfortunately i don’t have that old games to test, but I’m waiting for the new drivers, and then i’ll redo the gaming tests. So, if you have any suggestions of older games i should try, i still have the Asus 1225C for tests with an atom n2600 processor, and i could try them on that one. Yes, but it remains to be seen if that applies to all variants. Like they have the same note for the 1225B but so far only the 1225C is soldered. Seems like a dumb decision on Asus part, as I can’t imagine whatever savings they get from manufacturing cost cutting can make up for the loss of possible sales by those that would consider the soldered RAM a deal breaker. Also the 1025C has the note with the soldered Memory on the spec sheet. Maybe we should all mail ASUS and tell them that this is a deal breaker and we won’t buy a 1GB fixed memory netbook! What do you think? I would buy this one and upgrade the RAM. In my opinion it would be the perfect netbook at the moment. Over at eeepc.it they did a disassembly of the 1025C with N2800 and despite not having the bottom RAM access panel the RAM was till a SO-DIMM and upgradeable. They also checked a version of the 1225B with C-60 and unlike the version that Mike reviewed the RAM was soldered. So it looks like we may have to wait for more tear downs before we can be sure which models do and which don’t have the RAM solders. A real pain but seems we have little choice for now… At least we can check the eeepc.it article on the RAM upgrade to get a proper disassembly guide. Looks like we can’t be sure about the RAM without a tear down. Since some models will have it soldered regardless of model or whether it has the bottom access panel or not. Like many places will be getting a version of the 1025C without the bottom access panel but the SO-DIMM may still be there. While even with the access panel the RAM may still be soldered. I couldn’t agree more with you on the 1GB of Ram issue. I really hope they haven’t made a really bad decision at Asus. As for the review: well done. You’re really thorough in your work. I have spent my last two or three days reading about the current netbooks on the marked, and you’re one of the best at reviews. Interesting change you guys made to the site.. Maximum RAM support ? What is it? So, can use one Memory 4GIG?supported? Mike, it seems the issue of whether the 1025CE RAM module is soldlered on in a normal RAM clip varies form country to country. Amazon was the only distributor in the US and its models had a clip. You still needed to take the case apart, but it was a very manageable job, so long as it was done carefully and following the steps in this video. There are still no 64-bit drivers. 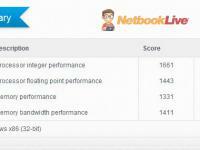 but it is a very solid netbook with a 4GB RAM (3GB usable) and Win7HPx86. On the other hand, it looks like Asus may be ending its entire 10.1″ line. I think that would be a travesty. The article below is borne out by the fact that Amazon US has not replenished its supply in three weeks. I have one on order from Amazon Canada and helped a friend upgrade the RAM in his three weeks ago. 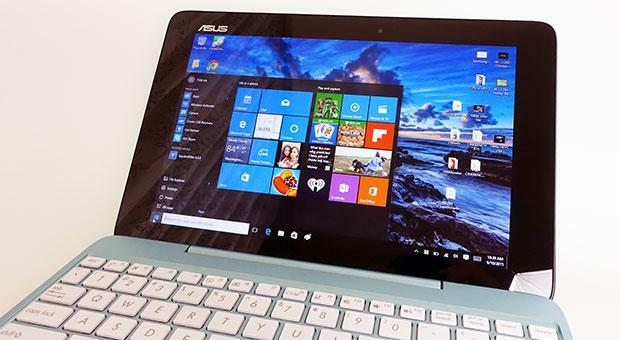 Asus are going to launch some Atom based Windows 8 tablets in the next months and I fear this might mean the end of the line for their netbooks. 10 inch cheap laptops are not as popular as they were now when people can buy rather good tablets for less than $300. 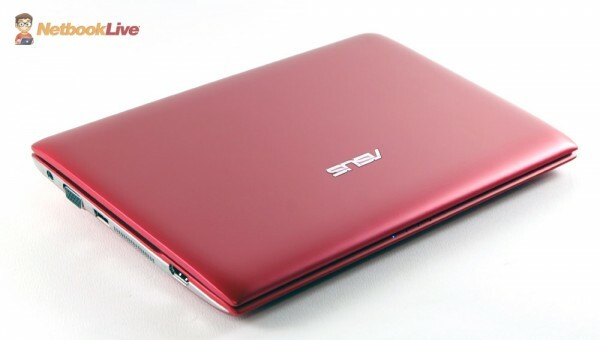 So we shall see if Asus decides to launch new EEE PCs with Win 8 and Intel CloverTrail or not. I still hope they do, as those tablets I was telling you about are going to be quite affordable. But sooner or later, netbooks as we know them today will come to a halt. can you please rate your product out of 10? 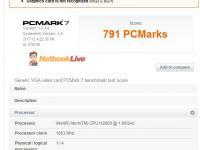 For a netbook, I’d say 7/10 , mainly because of the memory issue. I think Asus is making a mistake by trying to push the market back to 11’6″ screens and dropping the 10″ laptop line. As processors, storage, graphics and battery life have improved, education, government and business users (a huge part of Microsoft’s market) have been delighted to travel with smaller laptops, whether around the world or just around campus. 10″ netbooks like the Asus 1025CE, with a battery that lasts 7.5 hours on wifi that handle business, financial and video applications well ,serves those users in ways tablets can’t. Moving back to 11.6″, 12.1″ or larger laptops is the wrong direction to serve travelers with a business focus. Profit margin is probably the primary motive to constrain capabilities of 10″ netbooks with 1GB RAM and slowly close the line. Prices dropped during the global recession to reach a level to find buyers. Manufacturers found providing the capability of netbooks as processors and graphics improved for $250-300 left inadequate profit. It also pulled buyers from more expensive laptops. Elasticity prevented them from simply raising netbook proces from $300 to $500, so it became necessary to appear to provide a better product. Ergo, the move backward in travel convenience and battery life for a “new” 11.6″ product in the $500 range. 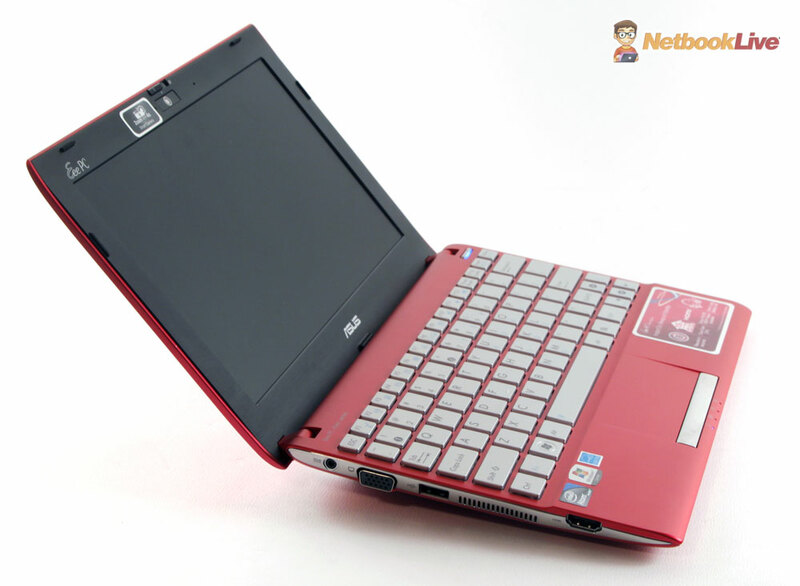 The Cedar Trail processor desolved the line between $250-$300 netbooks and laptops. The Asus 1025CE has a WEI of 3.5 while my four year old $1400 HP tx2000 has one of 3.0. To me that spells “get them while they last” for 10″ devices with the business capabilities of Cedar Trail processors in the $300 range so long as one raises the RAM with a $13-19 2GB or 4GB module. I just finished installing a 4 gb ram module in a 1025ce. Working great so far with windows 7 ultimate… super fast. The ram memory was not soldered to the motherboard and he opening process was easier than expected. Definitely worth it. 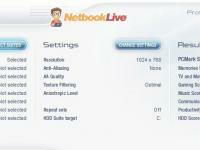 If you can add a SSD hard disk, the result is a super ultra netbook! Both myself and a friend have bought the 1025CE and had no problem installing 4GB RAM modules in them. It gives you 2.99 GB usable under a 32-bit operating system. I think it is fabulous. I use Mocrosoft Fligt Simulator (FS9) on it daily. I think the 10″ like is perfect because it is so mobile for someone like me who regularly takes trips on a motorcycle. Now that processors have improved so it handles everything I need. I can’t imagine moving to the larger laptops Asus is currently pushing. Sadly, Asus is leaving the 10″ market and there will be fewer from other manufacturers as well. It seems strange that both the US and Italian videos on replacing the RAM were taken down from YouTube. Makes me wonder if Asus put political pressure on the producers so it could push users to more expensive laptops. but version to 64 o 32? ?… the home premium… don’t take updates—- error… error..error….. The Italian video by Riccardo Palombo is still up. I had stupidly deleted one character from the link. The one in English by techvite is no longer up. My mistake. 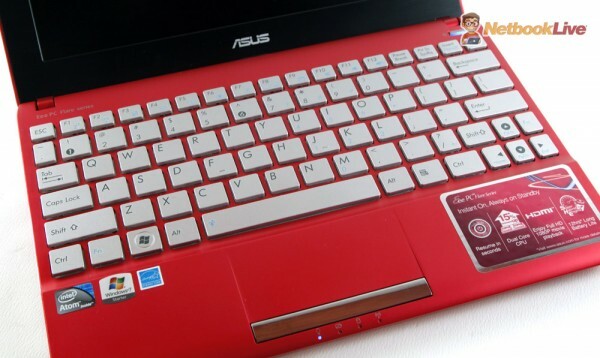 I just bought an Asus 1025c EeePC, because my previous HP failed and I had no others choices. I need a machine that works with GIS softwares + GPS programmes. My main problem is: I couldn´t install GOOGLEARTH (resolution 1024×600), even changing to the non recommended resolution of 1024×768, I didn´t managed it to work. Is there any link with Directx app ? I’ll appreciate for any answer (preferably to to e-mail address). Give me a good views will you…? I already had eee pc 1015px. 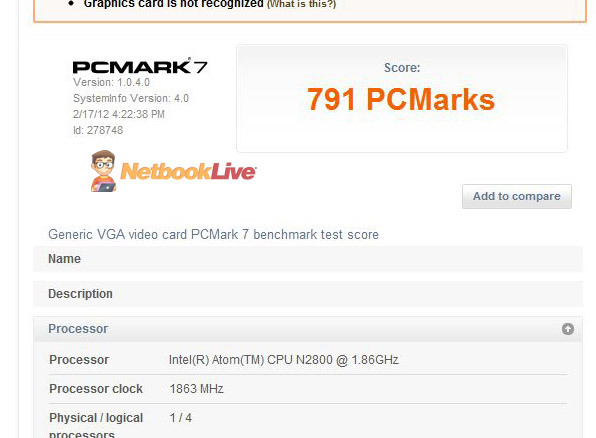 It’s N570 dual core, you knew it right?! eee pc 1215b or eee pc 1015bx ???? 1/ the computer clock always go slower that the real clock every a few days. 4/ The adapter always blink, n the computer charging status is also blink. I am looking for solution for this matters from all of you. I will appreciate your comment or I have to change this annoying computer!